I can’t believe the Holidays are right around the corner! 2011 has been a great year and it flew by so fast! I love checking my mailbox during this time of the year. 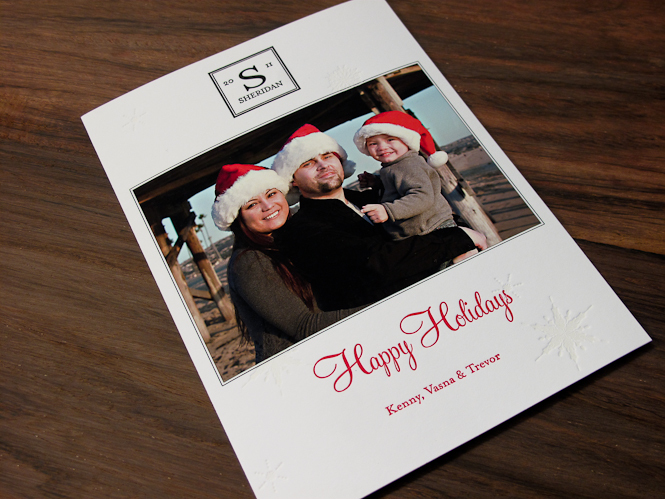 So many fun holiday cards! It’s like Christmas everyday — opening the cards is like opening presents each time I get something. I get all giddy and tingly inside. 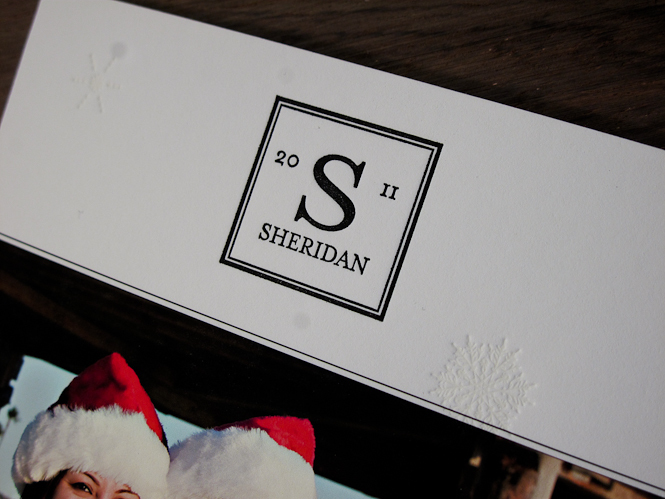 We recently printed some fun holiday cards for The Sheridans. They wanted a “Christmas in California” feel to the cards so we actually took their pictures at Balboa Pier — beach in December…only in California, right? 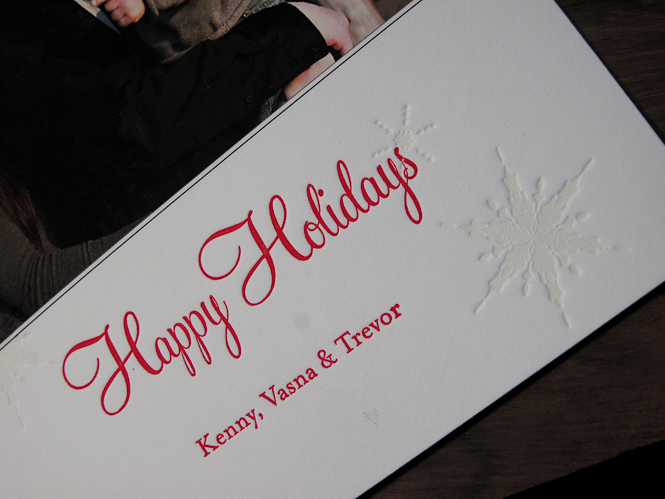 This was a 3-color letterpress project with photo. We printed the image on an inkjet printer onto coated cardstock. We then ran it through our good ol’ Chandler and Price – first with transparency white, then red, and finally black for their name on top. I love the Santa hats at the beach!